The best pictures of Captain Kidd depict the fearless pirate as a swashbuckling sailor in control of his ship and especially his treasure. 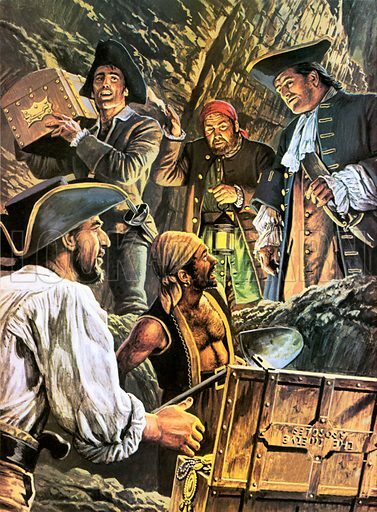 The first picture of Captain William Kidd shows him watching his crew bury his treasure chests on an island at night, as his ship lies at anchor in a moonlit bay. 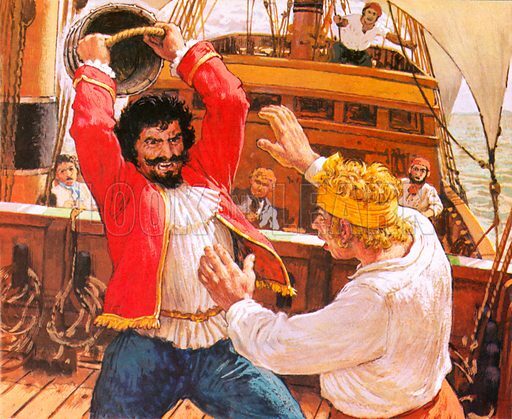 The second picture of Captain Kidd is a dramatic depiction of the cruel captain striking the unfortunate man More on the deck of his ship. 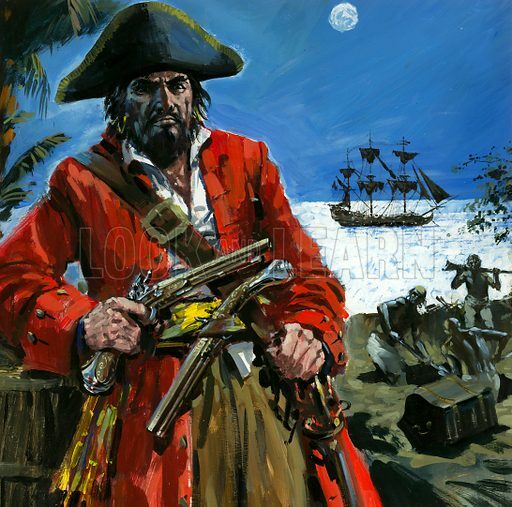 The third picture of Captain Kidd portrays the archetypal pirate hiding his treasure supposedly on the Salvage Islands. Many more pictures relating to Captain Kidd and piracy can be found at the Look and Learn picture library.